Sure, she's arrogant, and sure, she walks around spouting inanities. Sure she makes empty threats of the sort every teacher would avoid. She doesn't like it when her BFFs are dismissed as Regents, and now wishes to bring them back as consultants. This reality thing is not for her, though she wants to impose harsh and unreasonable testing on us and our children. Of course, she's utterly unqualified for her job, and has not the slightest idea what ours entails. Sure, she has no curiosity, and accepts boilerplate reforminess without question. She has no hesitation in making pronouncements about how standardized testing is necessary for high-needs kids, and she isn't bothered by the utter lack of evidence in that assertion. She babbles about how national testing will be necessary if too many kids opt out. She offers to exempt wealthy districts from the state's odious programs because they already get high test scores. So it's tempting to dismiss Merryl Tisch as the preposterous figure she clearly is, and a number of my friends and acquaintances are already doing so. But we ought to take her seriously. After all, despite no evidence that any of her preferred programs would work, she's got them enshrined into law, with the help of Governor Andrew Cuomo, who shoved them through the Heavy Hearted Assembly without a whole lot of resistance. Note he did this despite his personal popularity being in the toilet. So, OK, we can say how ridiculous she is, but the public message ought to be more on the lines of why her policies are hurtful. After all, we have all witnessed the results of NYSUT's juvenile "clueless Cuomo" campaign, and we will all have to live with the aftermath for at least one miserable year. Apparently the whole name-calling thing did not resonate with anyone but already pissed off teachers. And we know well that Cuomo is not clueless, but rather cunning, unscrupulous, self-serving, self-important, and self-promoting. 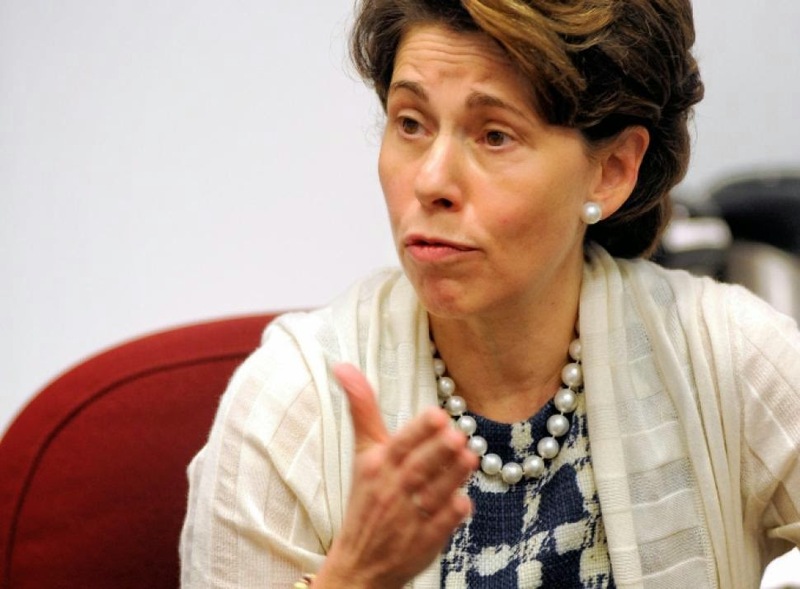 We can't say whether Tisch is clueless. Certainly what she says is idiotic. But the important thing for us is to fight her policies and educate the public. I've seen some great commercials coming from New Jersey, commercials that reach out to parents and show the damage of test now, test tomorrow, and test all the time policies. Maybe we should reach out and send messages like those rather than the "It's just not fair" messages I've seen from UFT. Maybe we should be telling parents about the consequences of a rating system that pretty much rules out evaluating anything but high stakes crap produced by incompetent and secretive Pearson. The whole "more than a score" theme rings really true now that we know a child's teacher cannot get a good rating if the test scores indicate otherwise. Will this lead to massive test prep in lieu of actual education? Will it lead to outrageous cheating? Will we see teachers frogmarched to prison as we just did in Atlanta? Does anyone besides me wonder how Wall St. profiteers who tanked the economy are still walking around while a few Atlanta teachers are about to spend decades in prison? Does anyone wonder why not even the people who placed massive pressure on the teachers, the sort of pressure we'll soon be feeling in NY, have never been inside a courtroom? How is it, for example, that Michelle Rhee is selling fertilizer instead of making license plates? We can joke amongst ourselves. But we need a serious and coherent message for the public. Too bad our union leadership is stuck in an echo chamber hearing some endless loop on solutions-based unionism. Because as far as I can tell, this policy provides neither solutions nor unionism.